Vietnam has been urged to reduce its use of coal-fired energy and develop renewable energy to proactively respond to climate change and ensure energy security, heard a panel discussion of the Vietnam Economic Forum 2019 in Hanoi on January 17. 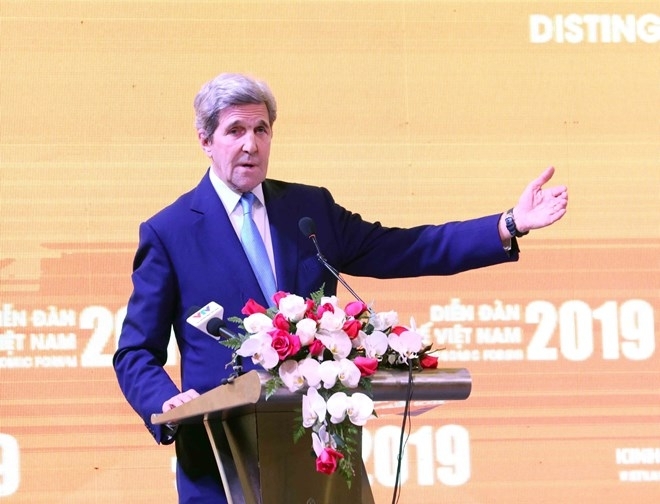 John Kerry, former US Secretary of State, said climate change is a very big problem in the world, not only in Vietnam, and it always has a close connection with the energy sector. With a relatively fast growth rate, Vietnam needs to carry out effective solutions to cope with climate change. Many countries have gradually been switching from traditional energy sources to new and renewable ones. This is a common trend to sustainably develop energy and mitigate climate change impacts, he said. Asia-Pacific is consuming the most coal in the world and faces the impact of greenhouse gas (GHG) emissions, he noted, adding that even when new technologies are applied, coal-fired power generation still emits the most GHG. Kerry called for countries to use clean energy as soon as possible, saying coal-fired power generation is not cheaper than new and clean energy sources. It is unnecessary to depend on coal-fired energy generation, and Vietnam, with clean energy potential like hydro, solar and wind power advantages, should tap into sustainable renewable energy sources and reduce GHG emissions, he added. Welcoming the Vietnamese Government’s efforts, Ambassador Bruno Angelet, head of the EU Delegation to Vietnam, said the Southeast Asian nation is one of the countries most vulnerable to climate change. It is not accidental that the EU has implemented the biggest energy programme in a non-EU country in Vietnam, with non-refundable aid of about 270 million EUR, he said. This programme aims to facilitate remote and low-income residents’ access to electricity and help the Government design a more comprehensive energy transition strategy. 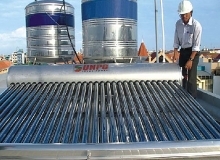 He suggested developing rooftop solar systems on residential and industrial buildings. In energy transition, the country needs to take into consideration the fact that local power demand will increase threefold by 2030. Therefore, renewable energy should play an important role in the energy structure, Angelet said, adding that the transition from polluting energy sources to clean ones needs to be carried out step by step and comprehensively. At the discussion, participants looked into the risks that climate change may pose to Vietnam’s sustainable development and energy security. They also talked ways to diversify energy sources, improve efficient energy use and develop renewable energy.